Hello, lovelies~ A few weeks ago, I was contacted via email by the PR from b.liv skin to try out their products. I was excited because this is one of the first skincare brands that I saw reviews on Youtube, back on echoli's channel. Now that I have the opportunity to try them out, I said yes and tried out the products for two weeks time. I got a set of skincare goodies from b.liv skin by Cellnique, from cleanser to face masks. I will be reviewing them one by one, so be on the look out for those posts! In the mean time, I'm gonna start with the face cleanser. Let's go! One of the things that I like from b.liv skin is how they name their products. It's not just a simple "Refreshing Foaming Face Wash" or " Energizing Face Cleanser". It is kinda like describing the action that the product will do. In this case, the cleanser is named "No Spots Bye Dots", which is a blemish cleansing gel. I love the quirky names, so cute! Aside from the name, this cleansing gel comes in an opaque bottle equipped with a pump to dispense the product. The color theme is mostly white with a stripe of salmon pink on the bottom. The pump really makes it easy to get the precise product every time I wash my face. The bottle also comes with a secure pump that you place under it to prevent the pump from being pressed down while it's inside a makeup bag. This will reduce the chance of spilling and making a mess in my makeup bag. The product doesn't contain any harsh surfactant despite it being formulated for people with an oily, acne prone skin. I'm glad that it is void of Sodium Laureth Sulfate since that can cause dryness on my face, leaving a tight sensation after washing my face. Listed below is the complete ingredients along with their functions. When I pump it out of the bottle, the face wash is a clear liquid that is almost gel-like. It doesn't have an offending scent to me, but it still has a combination of fresh and fruity scent. I didn't find that to be a problem because I quite like it the smell of it. Seeing as it has a gel-like consistency, I thought it was going to be a chore to later it up, but it's not. It turns out to be really easy. However, I like to use it immediately on my face without lathering it up first because it feels soothing. Somehow. 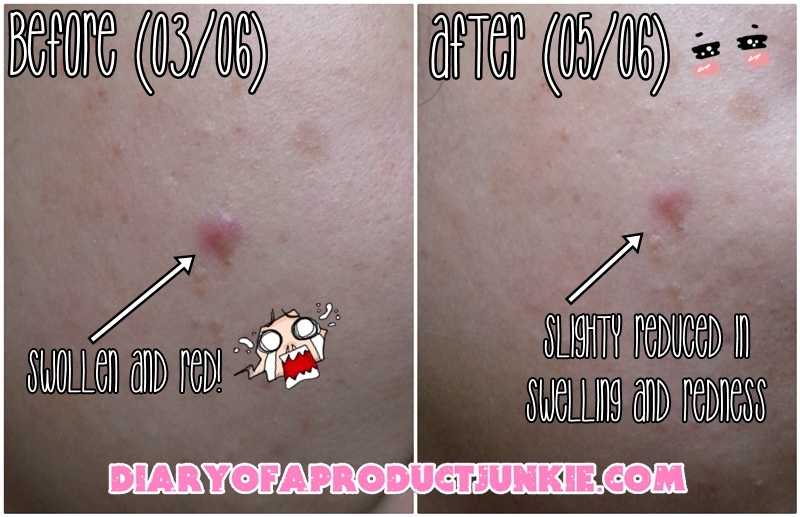 Due to the salicylic acid in the face wash, my acne has been in control and rarely show up, even during my period. A few days ago, I was trying out a new compact powder and it left me with 3 acne on the sides of my nose. With the help of this face wash, it reduces the swollen acne and kept my face clear afterwards. Another thing that I like about this face wash is it doesn't feel drying after washing, despite it being targeted for oily skin types. My face still feels clean and that the excess oil on my face is removed, but it doesn't leave my face tight. An extra tip for all you oily skin type and acne prone people, always use a gentle face cleanser because harsh ones tend to cause more acne on the skin. Overall, I am quite fond of this face wash because of its acne clearing and controlling ability for someone who is acne prone like me. Beta Hydroxy Acid (BHA) is included as one of the ingredients that help to control those acne. It doesn't leave my face tight and squeaky clean after I rinsed it, which is a plus for me. However, I do feel that it can be better if it is formulated without fragrance so they cater to those who have sensitive and acne prone skin. Bottom line, it sure does make a b.liv-er out of me! Sounds like an interesting product to try. I hear that it is quite popular in philliphine.